When people in the 1980s dreamed of the year 2016, I’m sure many imagined robotic butlers catering to our wishes while speaking in electronically distorted voices. Now that 2016 has actually arrived, we can say that we’re at least halfway there. 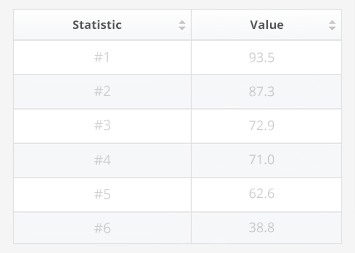 While Alexa, Siri et al. cannot serve us cold beverages on a warm summer day, they can be quite helpful at times and they do sound slightly robotic. 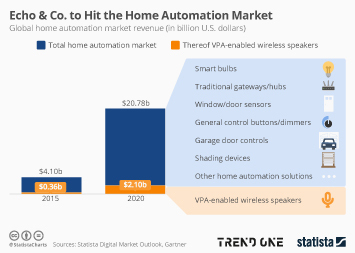 According to market research firm Tractica, the use of virtual digital assistants (VDAs) is going to increase sharply over the next few years. 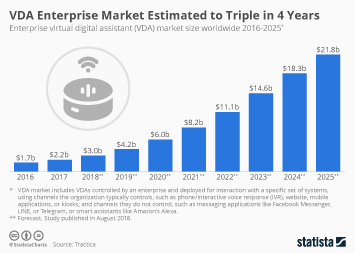 As our chart illustrates, the number of people using digital assistants is projected to increase from 504 million this year to 1.8 billion by 2021. 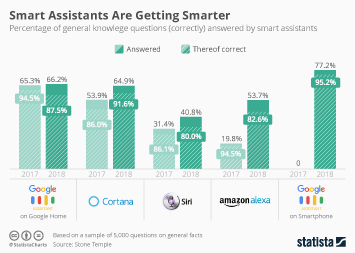 While intelligent voice-recognition technology is currently most commonly known from smartphone-based assistants such as Siri and Google Now, Tractica expects similar solutions to be used in many more devices going forward. 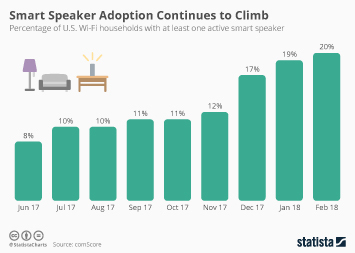 Amazon’s Echo, an intelligent speaker capable of performing several tasks, is just one example of how such devices could shape our homes in the near future. 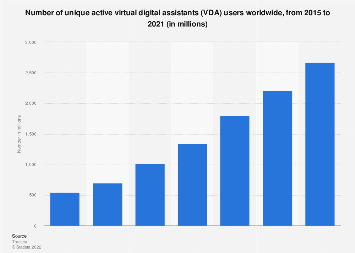 This chart shows the estimated number of users of virtual digital assistants worldwide. 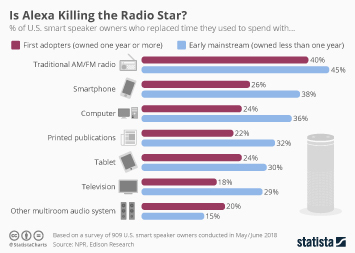 Is Alexa Killing the Radio Star? 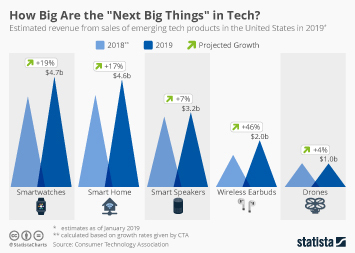 How Big Are the "Next Big Things" in Tech? 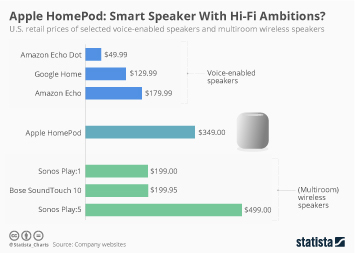 Apple HomePod: Smart Speaker With Hi-Fi Ambitions?